The Unfaithful is a classic film noir from 1947 directed by Vincent Sherman. The writing team on this film is the real story here. We have David Goodis teaming up with James Gunn for the screenplay. This is loosely based on the novel, The Letter by W. Somerset Maugham. Yes, that’s right, this is based on the same material as The Letter starring Bette Davis,which came out just 7 years earlier. Maugham was not given a writing credit for this film and the setting is moved from a rubber plantation to the urban setting of Los Angeles. 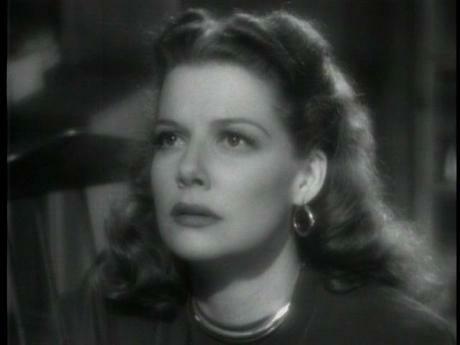 This film revolves around Ann Sheridan, who plays Chris Hunter. Chris is married to Bob Hunter, played by Zachary Scott, who is a war veteran and is now a business man in the housing business. He is out-of-town as our film starts, showing Chris on the phone with Bob as they make plans for the next morning when Bob comes home from Portland. Chris tells Bob she will be going to a divorce party for Bob’s cousin, Paula, played by Eve Arden. The party highlights Paula being proud of her new-found freedom, and everybody seems to be having a great time. Chris heads home in the middle of the night and as she opens her front door a shadowy character grabs her and shoves her in the house. As the viewer we witness the struggle through curtained windows and cannot tell exactly what is happening. Bob flies home and is confused when his wife is not at the airport to meet him. He calls home and soon grabs a taxi to rush to his house. He finds the police are there as well as his friend and lawyer, played by Lew Ayres. The dead body still sits on the floor of the home as the investigation continues. Chris is obviously distressed as she tells her story of self-defense. As our story continues we learn more about the victim and why he may have been there. Was this self-defense? Will Chris and Bob’s marriage survive this? 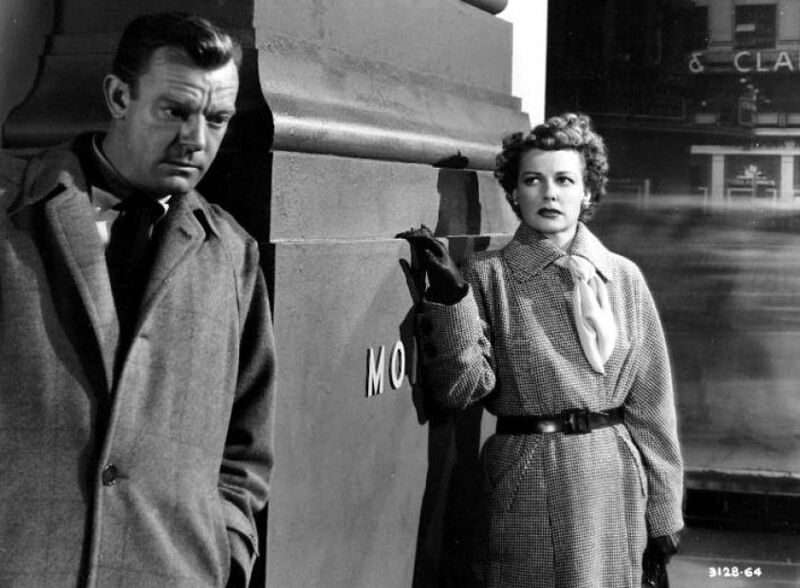 It seemed to me that this film is more than a mystery noir, but a real look at Post-War marriage. This shows a woman who was living by herself for two years while her husband was in the Pacific. The question this film asks is, can what happens in those two years be forgivable? Should the couple even tell each other what happened in those two years? Can a good marriage survive anything? We see one divorce at the beginning of the film showing a strong woman willing to go on in life by herself. I took Eve Arden’s character as a strong feminist, especially for the 1940’s, I would be interested in learning if the writers intended this or if she was to be perceived as something else. 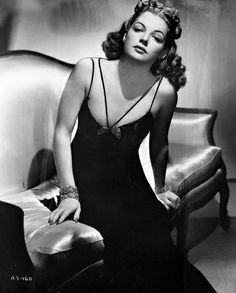 The other thing that stood out to me is another great performance from Ann Sheridan. She really is hard to read in this film as our loyalty to her shifts from the poor victim to murderer and back again a number of times. In the end do we really learn the truth? Is she just another evil femme fatale or is she the victim of circumstance? This film is a must see for fans of Ann Sheridan and would make for an interesting double feature with The Letter from 1940. I have not seen The Letter in a while, so I will not try to comment of the similarities and differences at this time. OK, after watching this and Woman on the Run, which came out three years later and I reviewed earlier on this site, I’m a huge fan of Ann Sheridan. Nora Prentiss is a classic film noir from 1947 directed by Vincent Sherman. This is a unique film in the classic film noir period. The first scene is a man covering his face and not wanting to talk to the press. The press is asking if “he really killed him” and similar questions. If it was not for this scene letting us know we are going into some dark noir story in this film, we may not think it was noir film for the first 40 minutes or so. The first part of this film is a love story between Dr. Richard Talbot played by Kent Smith and Nora Prentiss played by Sheridan. They meet when Nora is accidentally hit by a car and is brought to Dr. Talbot for examination. Nora flirts with the Doctor and has him drive her home. When she finds out he is married, she apologizes for being fresh with him. Of course it is too late as Dr. Talbot is already having feelings for Nora, and you can see why. Sheridan does a great job of having you fall in love with her so you can easily see why Dr. Talbot would. Nora is a lounge singer and soon the Doctor goes to the night club to see her sing. The relationship progresses and Dr. Talbot says he is going to ask for a divorce that night. Talbot goes home and finds a party going on for his daughter’s 16th birthday, which has slipped his mind. We soon see Talbot start to lose his mind. Soon Talbot is seeing a patient, who drops dead in his office. Talbot noticing the striking resemblance between himself and this man and decides to trade places with him. So he fakes his own death, using the patients body and moves from San Francisco to New York with Nora. Nora has no idea this has happened and is happy that her love has decided to go to New York with her. We now see in the second half of this film why it is considered a noir! Will Talbot totally go crazy and hurt Nora? Will Nora figure out what her boyfriend has done to get out of his marriage? Will the dead man’s past come back to haunt our couple? This is a very good classic film noir with two great performances from our leads. This film doesn’t seem to get the recognition it deserves and I’m not sure why? This is a film that needs to be seen more. Go watch it and then tell a friend or two about it as well. If you like classic film noir or just classic film, this is worth your time. 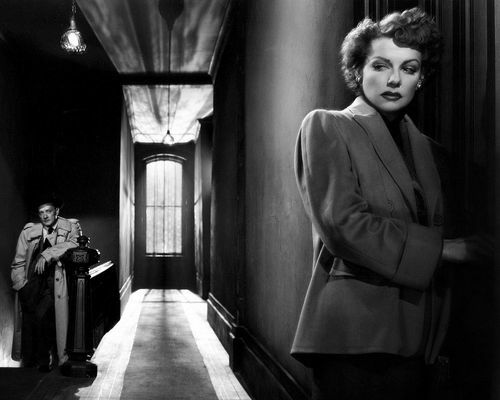 As Eddie Muller said, this is the best film noir you have never seen. This film went into public domain making it easy to find and see, but the quality has been lost in the over copying. Muller himself was key in finding a few original prints and getting them edited together to make a restored version. He introduced this on the first night of TCM’s Summer of Darkness. This film was made in 1950 and directed by Norman Foster, who also helped with the screenplay, based on a story by Sylvia Tate. This story is about an artist who witnesses a murder. It turns out the man murdered was a key witness in a case. The artist played by Ross Elliott is now the key witness and only person that can identify the murderer. He runs from the cops knowing his life is in danger. His wife played by our main star, Ann Sheridan is the police’s only lead in finding their new witness. She is crafty and out smarts the police at every turn, getting away from them in the hopes to find her husband before the police find him. Our couple has been married for four years and things are not going well. As the movie goes on she finds new things about her husband that makes her heart grow fonder of her husband. She also realizes her husband really does love her. Along the way she teams up with a journalist played by Dennis O’keefe to help find her husband. He is offering good money for an exclusive interview from her husband and seems to know the city of San Francisco. As our two are on their hunt for the missing witness we get to see a lot of this classic noir city. The hunt continues as our duo continue to try to lose the cops and beat them to her husband, but not everything is as it seems. This film has a grand finale at a Carnival, something I have seen in two other noir films with the first and most famous one being The Lady from Shanghai. We also see an artist getting in over his head, this is also the third time I have seen this theme, with Scarlet Street being the first and best of this idea. Yes, I would put this movie behind these other two on my list of great film noir, but this film would be on the list. I have not seen a lot of films with Ann Sheridan before, but this movie has made me a fan and I will be looking to see more of her movies. If you are a fan of Sheridan or classic film noir, this is a must see. I did see the restored version and have not seen the public domain versions, but from the sound of things, it is worth seeking out the new restored version. 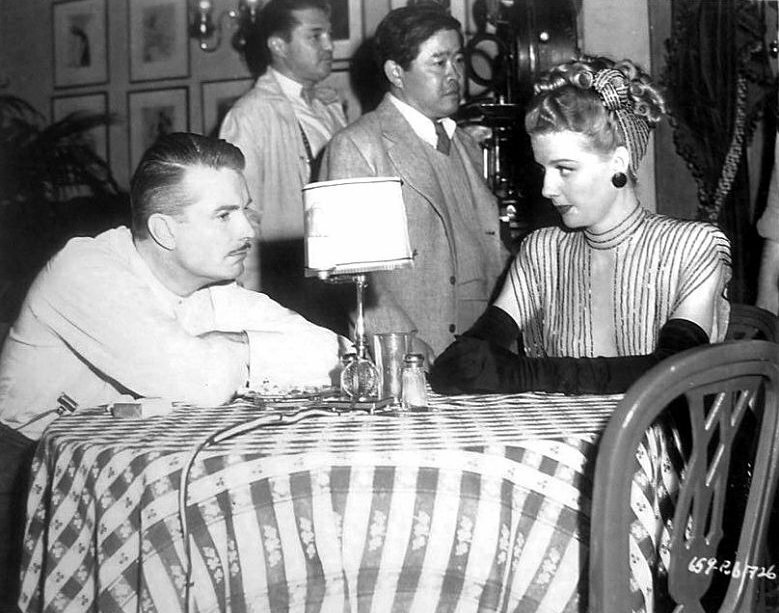 Favorite Tidbit: Eddie Muller mentioned that he thought Ann Sheridan made a conscious decision not to be objectified in this film, as she was more known for her curves then her acting up to this point. She wore a big coat in almost every scene in this film to cover her body.